A major new study on Alzheimer's disease provides previously unknown evidence of how the brain-robbing illness may originate. Moreover, it proposes that certain HIV drugs called reverse transcriptase inhibitors could immediately be repurposed for Alzheimer's patients. Led by scientists from Sanford Burnham Prebys Medical Discovery Institute in San Diego, the study finds that, as long suspected, Alzheimer's is a genetic disease. But in nearly all cases, it's not inherited. Rather, it arises during a patient's lifetime by genetic rearrangements in neurons. Sequences of DNA are copied, altered and inserted back into the genome. The genetic rearranging isn't random mutation, but a process that recombines DNA into different patterns. This reshuffling creates a mosaic of slightly differing cells. The immune system uses a similar process to make antibodies, but nothing like it has been seen in the human brain. Reverse transcriptase inhibitors might also ward off Alzheimer's in those with Down syndrome, who develop Alzheimer's as they age, the study said. The study was published Wednesday in the journal Nature. Confirmation of the findings is required, said Dr. Jerold Chun, the lead author. But Chun says testing with the HIV drugs should begin immediately. Even a low degree of effectiveness would be better than what is now available. The study combines single and multiple-cell analytical methods to examine 13 donated human brains, some normal, some with Alzheimer's. Its findings jibe with epidemiological data from elderly HIV patients. They have been treated with reverse transcriptase inhibitors for decades, and almost never get Alzheimer's. The first documented case of Alzheimer's in an HIV-positive individual was reported in 2016. Cautious praise for the study came from Dr. Paul Aisen, a longtime Alzheimer's researcher who specializes in clinical trials. Aisen heads the University of Southern California Alzheimer's Therapeutic Research Institute in San Diego. "The authors carefully demonstrate that there are extensive modifications to genetic material in the Alzheimer's disease brain," Aisen said by email. "These are changes that occur with aging, rather than inherited genetic characteristics. While this is an intriguing idea, the actual contribution of this age-related genetic change remains uncertain." Fred "Rusty" Gage, president of the Salk Institute and a noted brain expert, said the study's results back up the claim that DNA sequences are copied and inserted back into the neuronal genome. "These results are quite striking and could have implications for Alzheimer's disease diagnosis and progression," Gage said by email. About 5.7 million Americans today have been diagnosed with Alzheimer's disease, according to the Alzheimer's Association. That number is expected to double by 2060, according to the Centers for Disease Control and Prevention. In recent years, Alzheimer's researchers have changed their view of the disease. They now say Alzheimer's begins decades before symptoms appear. Eventually, the damage eating away at the brain becomes severe enough to affect cognition and memory. So increasingly, researchers are looking for the earliest possible signs that Alzheimer's is developing, before mental functions are affected. The study traces the ultimate cause to the genetic rearrangements, so blocking this reshuffling should block Alzheimer's. The reshuffling can be likened to a copy-and-paste function in affected neurons. But instead of making an exact copy, the process scrambles DNA segments, then reinserts them back into the neuron's genome. Normal brains also show genetic variation in individual cells. Research suggests this condition is a normal part of brain development. Instead of having billions of identical neurons, each may vary slightly in a way that helps the brain work, Chun said. This process goes wrong in producing the Alzheimer's-causing variations, derived from a gene called APP. Certain variants of this gene are strongly linked with Alzheimer's. Because genes produce proteins, these rearrangements of the APP gene likely produce variations of toxic brain proteins called beta amyloid, known to be involved in Alzheimer's. Some of these genetic variants are found in a very rare form of Alzheimer's that is directly inherited. Virtually all people with these variations come down with Alzheimer's. But this "familial" form constitutes only a few percent of all Alzheimer's cases. The vast majority of "sporadic" Alzheimer's cases shows genetic tendencies, but fall far short of a perfect correlation. The study provides an explanation for sporadic Alzheimer's: Because these genetic changes only occur in the brain, they don't show up when a person's genome is sequenced. In addition, it may explain the failures of amyloid-based therapy. Billions of dollars have been spent developing drugs according to what is known as the "amyloid hypothesis," with virtually nothing to show for it. Chun said this may be because the amyloid drugs are aimed at a single molecular target, and there's molecular diversity in amyloid. "What our data strongly supports is that there could be many, many other targets that would have been missed by these single molecularly targeted therapeutics," Chun said. This means the amyloid hypothesis is essentially correct, but doesn't go deep enough, Chun said. In an accompanying perspective article, two University of California, San Diego Alzheimer's researchers said the study was also important because it provided the "surprising existence" in the brain of what is called "somatic gene recombination." "This phenomenon, which has previously been reported only in antibody generation in immune cells, increases the diversity of proteins encoded by a given gene through DNA-shuffling mechanisms, wrote Guoliang Chai and Joseph G. Gleeson. "The study hints at a previously unanticipated mechanism in the development of Alzheimer's, and expands our understanding of the genesis of brain mosaicism," they wrote. "But whether accumulation of (the recombined DNA) in neurons is a cause of or is caused by Alzheimer's disease remains to be proved." Aisen cautioned that some studies indicate that Alzheimer's is more likely linked to defects in removing amyloid, not their manufacture. "So while there could be therapeutic implications of these new findings, additional clarification of this mechanism is needed," Aisen said. Doctors could use the HIV drugs on Alzheimer's patients as an "off-label" use, Chun said. But that would require careful ethical consideration. On the positive side, there's no treatment now that affects the underlying neurodegeneration Alzheimer's brings, and the safety profile of the HIV drugs is well-known. "Let's say this only works 25 percent of the time, that's still 1.5 million patients in the United States, not to speak of their families," he said. And even a modest effect of preserving cognition for a few years would mean a great deal to those families, he said. However, all drugs have risks, and Alzheimer's patients tend to be elderly and may have other conditions. Such off-label use also doesn't provide a scientific basis for officially approving the drugs for Alzheimer's. That's the job of a properly designed clinical trial. Designing such a trial will be complicated, Chun said. There's the need to accurately find the patients who will likely benefit. 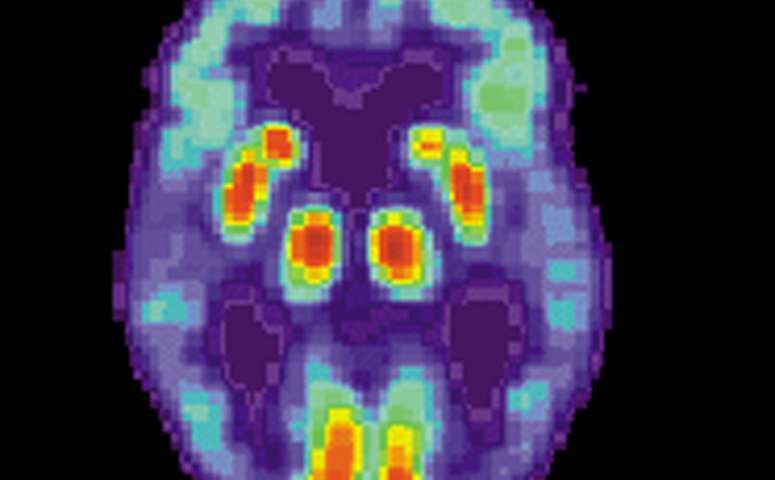 Brain scans for amyloid deposits, which are now available, might help. But as for now, actual detection of the pathological brain mosaicism in living people isn't possible. The APP-linked variations spread with the help of an enzyme called reverse transcriptase that HIV uses to replicate, the study says. With the help of reverse transcriptase, HIV copies its genome into the genome of infected cells. Since it becomes part of the cell's DNA, HIV is very hard for the immune system to reach. Reverse transcriptase inhibitors, a regular part of HIV therapy, block this process. Reverse transcriptase is also naturally found in the human body, and presumably plays an important function. "Evolutionary biologists that have looked at the human genome, have estimated that nearly half of our genome was created by reverse transcription," he said. Whether HIV's reverse transcriptase is identical to the human version isn't known, Chun said. Research funding was provided by The Shaffer Family Foundation; The Bruce Ford & Anne Smith Bundy Foundation; Sanford Burnham Prebys; the National Institutes of Health; and the government of Taiwan.